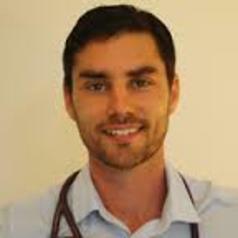 Dr Hamish Graham is a paediatrician and research fellow at the Royal Children’s Hospital and University of Melbourne. He currently works clinically in the RCH Tuberculosis clinic and Immigrant Health clinic, and has a passion for the health of asylum seeker and refugee children. Dr Graham also works for the Centre for International Child Health, . Dr Graham completed his medical training at Monash University (MBBS Hons), and is a Fellow of the Australasian College of Physicians (FRACP) specialising in Paediatrics. He completed a Masters of Public Health (MPH) at Johns Hopkins Bloomberg School of Public Health (MD, USA) as a Fulbright scholar, and is Certified in Public Health (CPH). • Field doctor with Medecins Sans Frontieres in Darfur, Sudan, coordinating a hospital and clinics for 30,000 people displaced by civil war.